Small House - Simply Good. From Our Homestead to Yours. All of our products are made with your family in mind. Made in small batches with locally sourced ingredients and packed with love by us. 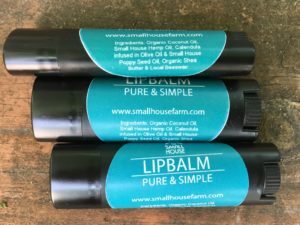 From Cold Pressed Oils to Wellness and Apothacary needs, our homegrown homestead products are great for your home, office or school. We are homesteaders, striving for a small simple lifestyle that is filled with love and family and things we enjoy. Things that improve our quality of life. Gardening, raising animals, preparing yummy and nutritious food, canning and preserving our harvests and the harvests of our local farmers, and so much more. Ben and the family have been traveling the Midwest and speaking at a wide range of events! 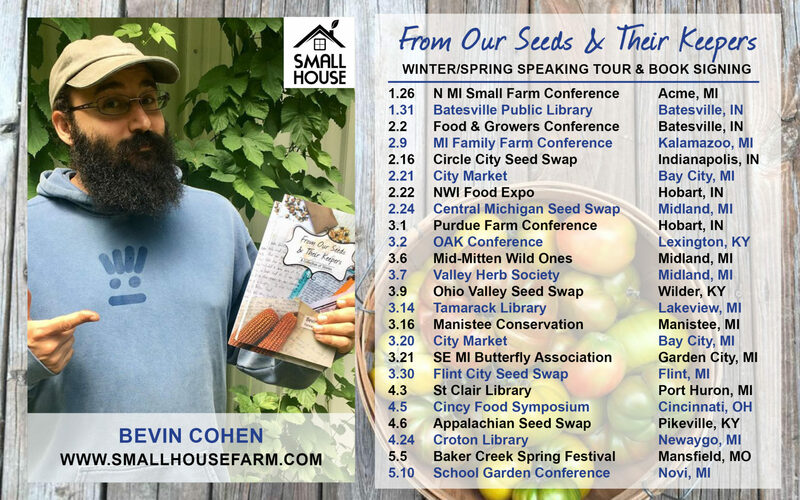 Topics including seed saving, preservation, heirloom history, wildcrafted wellness and so much more! Find out where Ben will be next, How you can get him at your event, or learn more about our mission and purpose. 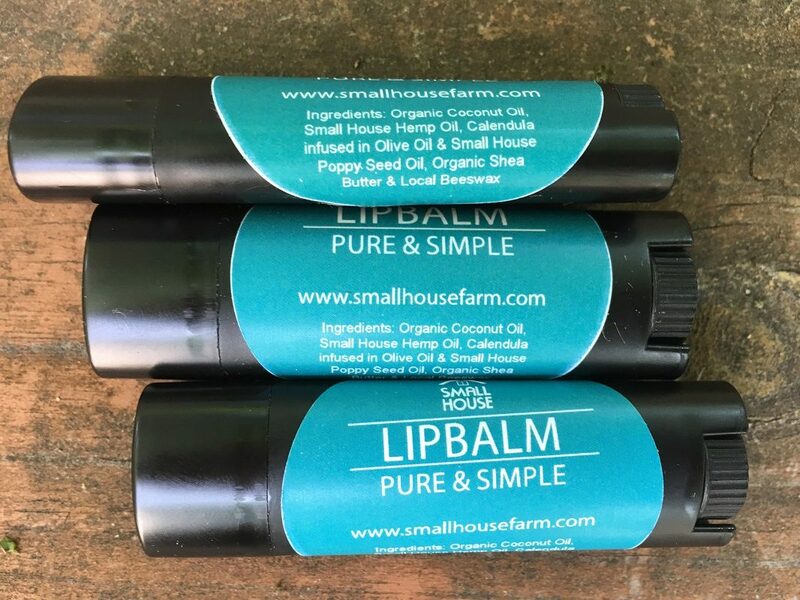 Made with local beeswax and organic shea butter, this lipbalm has Small House Cold pressed oils and herbs infused into it! Soft and unscented, this product is for everyone! “Fabulous, all natural products hand made by a lovely family!” – Linda M.
“Great speakers/presenters! Very fun and informative workshop! Just bought some products and I can’t wait to use them.” – Prascilla Z. “After using the hemp-seed oil for a few days I have noticed a huge difference in my complexion. The prices are so affordable too. Very pleased with my purchases.” – Jill E.
Comments, Questions, Thoughts, Ideas, Feedback, Inquiries.. whatever comes to mind. Let us know.